In the heart of Indianapolis in the mid 1960's, through a twist of fate and fortune, a pretty young girl came to live with a thirty-seven-year-old mother and her seven children. What began as a temporary childcare arrangement between Sylvia Likens's parents and Gertrude Baniszewski turned into a crime that would haunt cops, prosecutors, and a community for decades to come.When police found Sylvia's emaciated body, with a chilling message carved into her flesh, they knew that she had suffered tremendously before her death. Soon they would learn how many others,including some of Baniszewski's own children,participated in Sylvia's murder, and just how much torture had been inflicted on one person. 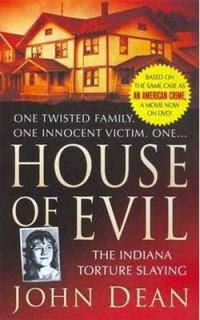 The original edition of this book sold more than 55 000 copies in 1966 and 1967.The author had this true crime book,House Of Evil,republished by himself in 1999.He made more money from the first 100 copies than he did on the 55 000 copies sold thirty years before.A Hollywood movie has been made about this case,An American Crime,which debuted at the 2007 Sundance Film Festival. John Dean has attempted successfully to re create this complicated story in order for the reader to understand and digest the facts of this true crime story in a well set out time line starting with the panic stricken kids as they realise that Sylvia Likens,the victim, is not moving and appears dead.The events that unfold are ,I imagine, as they happened so many years ago.One of my gripes is that there was no background or childhood information on the main characters and this is answered by the author right at the beginning.Apparently he had the same complaints from other readers when the book was first published. Another problem I had,and this is my fault,is that half of the book is dedicated to the torture that Sylvia Likens went through.Bearing in mind that she was tortured over a period of 3 months and eventually died.No conventional weapon such as a gun or knife was used to kill her.Just plain torture in every imaginable way you can think of.There has never been any convincing proof of which method of torture actually caused her death.The details were horrifying and highly disturbing.Like I said,this is my fault,and I should have expected this,as the book is publicized as The Indiana Torture Slaying and the word torture itself signifies suffering over a period of time and should have been obvious to me that those details would have to be included.I do believe that the writer John Dean did not include those details to sensationalise in any way. So apart from being highly disturbed I still read the book.Then the next half is dedicated to the court case.And what a mess,all the defendants(Gertrude Baniszewski,her kids and some friends) were tried at the same time(save one).They each had their own attorney and with all the objections coming from all sides and warnings to the jury "this information must not be referred to this one's case because he was not here at that time" so the jury had to make notes on which information to exclude when deciding on the guilt of each one.Honestly,if anybody is thinking of studying law,they should read this book about this court case.I would have walked out if I was a juror. Just to give you an idea of how juries can be manipulated, read the following.The mother Gertrude was pleading insanity.So her lawyer calls the author of this book(John Dean) as a witness to testify as to whether he thinks she is sane or not.So he asks John Dean the question and before he can answer the prosecution objects(obviously because he is a reporter not a psychiatrist) but the reason the defense did this was because with the objection,which was sustained,the jury gets the impression that the reporter was going to say "yes,she is insane" but actually John Dean did not think she was insane and the prosection had to object as he did not want to set a precedent to have all and sundry being brought in as witnesses to testify to Gertrude's insanity.So with manipulation,the defence scores one point.Makes you think,doesn't it? 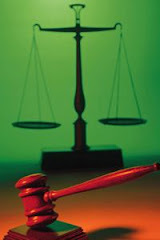 I will be honest and say that the court case details got very tedious for me.I was irritated and confused most of the time.I don't believe that this confusion arose from the way the book was written but rather from the fact that so many defendants were being tried at the same time and so many lawyers in the same court room all choosing different times to object.It was stop and go all the way. This book took me longer than usual to complete because my nerves were shot from the first half of the book and then the second half was just plain confusing.If I was the judge I would have thrown everybody in jail including the lawyers. If you would like to find out more about this book then South African readers can access via Kalahari books or if you would like to read more reviews on this book then the Amazon link below will provide that. I am keeping my family blog. My music is at the bottom and I will still fallow you. I will post anything book related on my family blog from now on. My son is having problems that need our attention. He is pretty much failing school as a Jr, hanging out with guys that are from what the school say's "a bad bunch" then he has this girl friend that he wants to be with 24/7, he went from sweet to snippy with us. We are working to spend more time with him, limit his interaction with certain people and had him get a job. Which has turned out to be a really good thing. Small steps should help turn him around again. I love blogging and enjoy fallowing your blog, you opened up my eyes to a new genre of books that I never thought about reading before. Just wish our library was better stocked with them. I have a request for 3 when they get checked back in. I hope everything works out for the family.I must just update my sidebar with your current blog.And then I will be able to keep in touch.Thanks for the info.Hope you get the books and enjoy them like I do. That sounds like a interesting book :) I seen your comment on my blog about blog catalog and to tell you the truth I don't know much about that place but if you click on my blog http://writesthoughts.blogspot.com there should be a place for you to Follow my blog, that way you know when knew stuff comes up. I did that and am following.Thank goodness!It just wouldn't work off blog catalog.Not just your blog but with all the others I tried.Wonder what that's about!